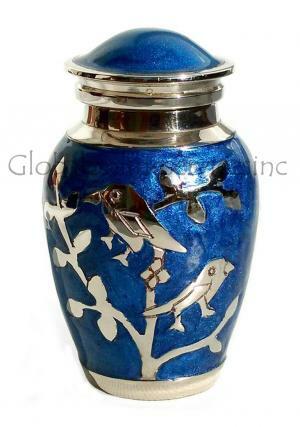 The silver blessing birds keepsake urn has engraved visuals of blessed silver bird on it, with covered light blue in the back end which makes the deceased blessed by the birds. 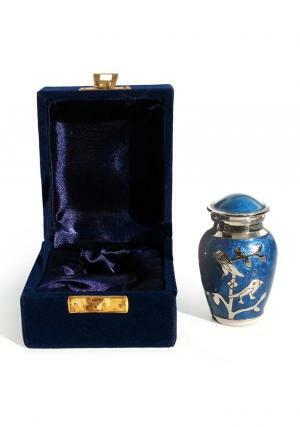 The urn is total made of brass with hand crafted silver bird and stem. 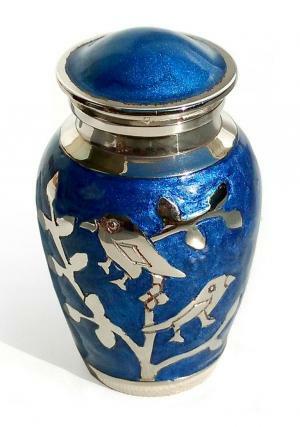 The silver blessing birds keepsake urn contains blue mounted on the lid with silver finish on the neck. 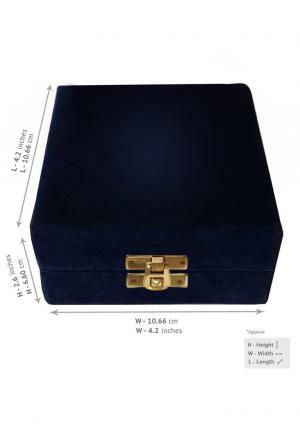 This urn contains threaded top with tight closure. The memory of the cremated remains within the lovable of shared. 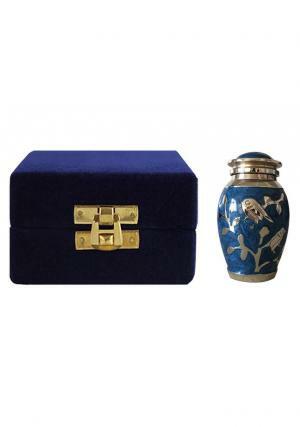 The use of mini urn is to scatter small token of ashes in it as reminder, when the ashes are dispersed or dissolved of the cremated. 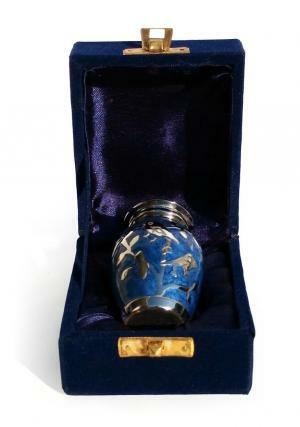 The volume of the small urn with 3 tablespoons of tokened space for ashes in it that makes 4 cubic inches.